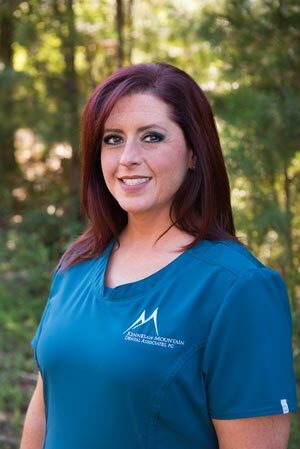 Elizabeth joined our practice in 2013 but has been an Expanded Duties Certified Dental Assistant for 13 years. She brings with her a vast knowledge in cosmetic Dentistry as well as Pediatric Dentistry. She enjoys working with the dentist in helping patients improve their oral health and smiles, and her favorite thing to do is make temporary crowns. She feels the most important part of her job is patient education. She graduated from Marietta High School and lives in Dallas. She loves spending her spare time with her husband and son. Her weekends are filled with trips to watch her son compete in motorcross. Graci received her certification from The Dental Assistant School of Atlanta in March 2017, but has been assisting since January 2017. She loves the dental field and having the opportunity to always advance her skills and learn more. 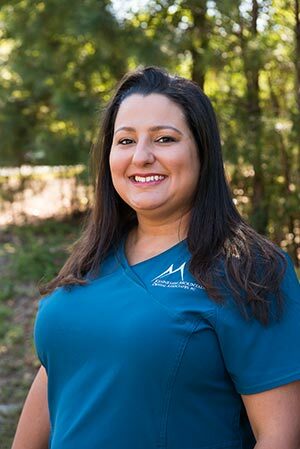 Her favorite part of being a dental assistant is not only being there for the Dentist, but being there for the patient and meeting new people. When Graci is not at work she enjoys anything outdoors, such as hiking and camping. Jamie is a graduate of the Dental Hygiene program with Georgia Highlands College both ASDH and BSDH programs; she also holds a degree in business administration from Southern New Hampshire University. 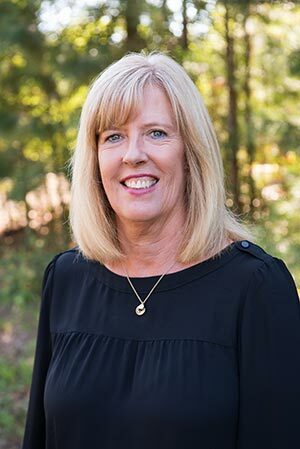 She is passionate about helping patients reach their highest level of oral health and understands the anxiety some patients feel in visiting the dentist. Jamie regularly pursues continuing education courses to keep up with the latest technology and trends in the dental field. She brings understanding, compassion and a genuine desire to help others feel comfortable. When she’s not working she can be found volunteering for various organizations, traveling and spending time with family and friends. She lives in Dallas, Ga with her husband, and children, Shailey, TJ, Morgan, Gabby and Brayden. They have two dogs who have rescued their family, Anabeth and Guapo. 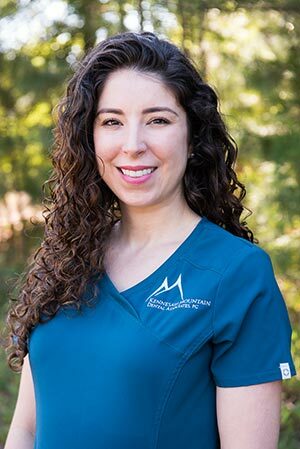 Vanessa is an experienced hygienist who has enjoyed practicing as a dental hygienist since 2010 after graduating from West Georgia Technical College in Douglasville. Prior to becoming a dental hygienist, she practiced as an Expanded Duties Dental Assistant. Vanessa is very passionate about oral health and strives to provide the best dental care possible to each patient she serves. Understanding that most people do not look forward to going to the dentist, Vanessa endeavors to make each patient’s dental appointment as pleasant as possible while still providing the highest level of care. As a believer in continued education, she attends hours of educational courses each year to stay abreast of the latest advances in dental science. When Vanessa is not serving her patients, she enjoys spending time with her husband, Robert, and fun-loving daughter, Sophia. Vanessa and her husband are eagerly awaiting the arrival of their second daughter at the end of February 2018. As active members of North Metro Church, Vanessa and her family enjoy sharing their faith and their lives with friends from church in weekly Life Group meetings. The day that Kasey got her braces removed at 14 years old was the day that she decided she wanted to work in dentistry. That was the first moment she realized how much confidence can come from feeling good about your smile. And now, helping people feel confident about their smile is one of her biggest passions in life. 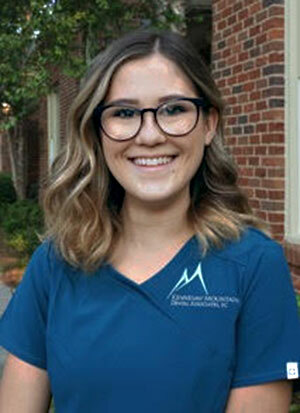 Kasey got her Associates in Dental Hygiene from Georgia Highlands College, where she was the recipient of the Hu Friedy Golden Scaler Award for excellent clinical skills. She later returned to GHC and was among the first six graduates from the school’s Bachelor Completion Program. When Kasey is not cleaning teeth, she can most often be found traveling or going to concerts. She is very involved with her church and also takes every possible opportunity to spend time with her niece and nephew. 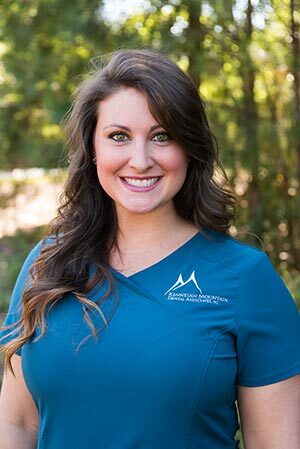 Lindsey graduated from Dental Assistant School of Atlanta in March 2018 and has been with the practice since May. This is only the beginning of her career in the dental field, and she looks forward to seeing where it will take her. The most rewarding part of her job is interacting with the patients and using how happy a beautiful smile can make them feel. In her free time she enjoys engaging in volunteer work, rock climbing, and spending quality time with her fur baby, Charlie the calico kitty. 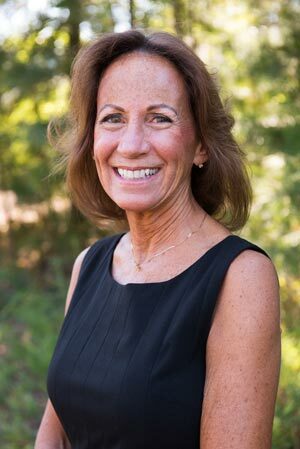 Joan has been with Kennesaw Mountain Dental Associates since April of 2010, and brings 13 years of administrative experience to the practice. Being detail oriented she works tirelessly with insurance companies to make sure our patients’ are aware of their dental benefits and eligibility requirements before they come for their appointments. She is always eager to answer any questions the patient may have about their insurance. Joan is originally from Chicago, Illinois, but moved to Georgia in 1975. She has two grown sons. In her spare time, Joan loves gardening and home improvement projects, and never passes up a chance to get together with her friends. Ann has been part of our team since 2016. She actually started out as a patient at the office and when she was ready to get back in the work force, she wanted to use the medical billing/ accounts receivable background to help our patients. She helps with all administrative duties especially dealing with insurance. She is originally from Sweden but moved to the United States in 1988 with her husband. She has two grown children and loves to spend time with her family and friends, reading and traveling with her husband.